There are a tons of functionalities spread across different SAP solution which are even completely designed to be accessed via web. Therefore the browser support is very important. In general currently SAP supports following browsers, always see particular SAP Note with the latest information about the browser. Opera – is not currently supported by SAP applications. Only way how Opera is supported is that you can use it to browser SAP’s Service Marketplace (SMP). There might several reasons occur why customer and SAP would want to deactivate certain functionality provided with the software. From customer perspective: if there is more than one version of same functionality (e.g. old feature being replaced by new version of same thing) customer may want to employ new version of the thing and switch off the old one. In that case there are some customizing parameters provided (e.g. in form of tables, system profile parameters etc.) by SAP to support that kind of switch. Basically in this case it is up to the customer free will which version of the same functionality want to use. However there might be cases that SAP wants to customer pursue to disable certain functionality. This is especially in case of patent infringement. Other organizations of individuals may claim ownership of ideas/algorithms etc. used in software. That would be typical case why software vendor would do that. Recently this happened for SAP’s solution like R/3, Enterprise, ECC, CRM, SRM, GTS. They all are using so called hierarchical access feature in pricing and pricing-related functionality build into above listed solutions. There was a court trial being held between company Versata and SAP in the matter of hierarchical access feature. As the trail has been settled so far US customer of SAP are obligated to deactivate to this functionality. Herewith SAP is providing SAP Notes which automates deactivation of the functionality. I’m not judging who is right or wrong in this case. However it is not beneficial for customer of both parties. As per this example it is obvious how monstrous, chaotic and messy are patents proceedings are and how time consuming it takes to settle it down. Retraction is usually provisioning of data stored in BW system into its source systems. In general Retractor is functionality that transfers the data from the BW) back to a source system. By this we providing data already transformed and aggregated in some way back to the source system. Retractors are heavily used in ECC’s CO-PA (Controlling Profitability Analysis) module. Here actual data previously extracted to BW systems is used as reference data for generating new planning data in CO-PA module. E.g. retractor is used to transfer this planning data back to the source system as target values for the planning periods. Both type if data transfer is possible: PUSH – extraction triggered in BW and PULL extraction triggered in ECC. Examples of other retractor applications: from BPS to PP module, BPC to CO-PA,..
How to prepare such a CO-PA extractor? First we need to prepare BW query which will provide the data. Basically retractor in ECC will call this query and data from the query will be stored in ECC. Secondly we need to perform customizing in ECC. By customizing a mapping is meant between characteristics and key figures in query to fields (so called characteristics and value fields in CO-PA). The customizing is done in KELC transaction. How to perform retraction in ECC? We use KELR transaction. This is PULL extraction. Here on selection screen we specify name for particular transfer of data. 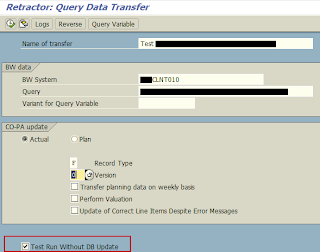 As well as RFC connection to BW system and technical name of BW query. Also we need to specify type of data (actual, plan etc.). Then we run it. Log (TA KELU) and other functionality (Cancel: TA KELS) is available as well. By accident I came across one note today. 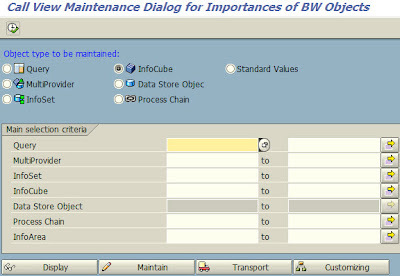 The note is dealing with information for users how to proceed with coping of BW objects between different table spaces. I really like those changes, with them SAP is catching the latest trends in web and they really brings value for me as user of help portal. To see whole story of features refer to following blog SAP Help Portal transformation series: Part 1, Part 2, Part 3 and Background on SAP Help Portal platform landscape and development process. and I found ABAP tool called Z_DOCU_CREATE_FROM_FILE mentioned in these SAP Notes. The tool is used for automating ABAP’s messages creation while deploying Notes. Usage is of the tool very easy. As first you need to create ABAP report Z_DOCU_CREATE_FROM_FILE as itself. The source of the report is attached in those above mentioned Notes. Input parameter is transport request into which those ABAP messages will be stored into. Another input parameter is XML file attached in the Notes. The XML file has actually all the definitions of ABAP messages. Based on the XML file the will automatically create ABAP messages that are needed for particular notes. Notice that to deploy messages further you need only to transport request where you stored he messages. The report Z_DOCU_CREATE_FROM_FILE doesn’t need to be transported to further systems in your landscape. Notice that this tool is not similar to the open source SAP LINK which is full blown tool for sharing of ABAP codes. The Z_DOCU_CREATE_FROM_FILE tool at least in current stage (April 2013) supports just ABAP messages. See my blog post about SAP LINK. Of course it is not similar to transaction SNOTE which deploys code correction contained in official SAP Notes. 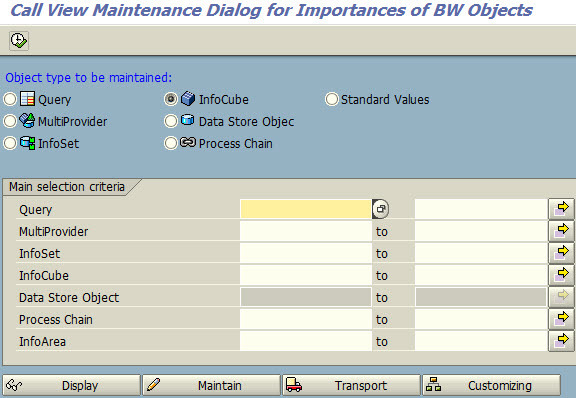 There are many technical infoobjects in SAP BW. Basically they are not supposed to be used by BW developers while modeling the infoproviders. Instead they are needed to make BW functioning from technical perspective. The 0DATAPAKID or so called Data Package field is used to carry data package ID for particular record of data which is stored in the DSO. The package ID is calculated within the load to the DSO. Issue is caused by not active IO related to technical IOs in your system. In this case it was related to 0DATAPAKID. All that needs to be done is to activate the IO from business content. -> Business Intelligence -> BI Administration Cockpit. useful while you analyze statistics data (for example for filtering or sorting). I had brief look at BPC 10 NetWeaver version. 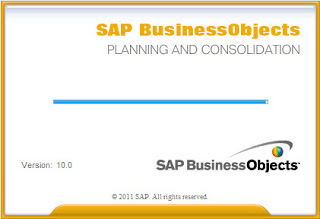 BPC which stands for SAP BusinessObjects Planning and Consolidation is part of SAP EPM applications. BPC 10 requires an SAP BW 7.3 system as backend. You need to install BPC component CPMBPC into your ABAP stack to enable this functionality. BPC is written using Adobe Flex (an open source framework for building rich Internet applications that get delivered via the Flash Player or to desktops via Adobe AIR.) web front-end. MS Excel interface still remains for inputting and reporting data out of the system. where is the server name/IP address and port number of the Planning and Consolidation application server.